Raisin Bran is a classic cereal that has been able to stick around and stay relevant year after year. Well Cinnamon Almond seems like a nice flavor addition to Raisin Bran. Nothing so crazy that it takes away from the simplicity of the cereal, but enough of a flavor change to make sure you don’t feel like you are eating the same cereal. 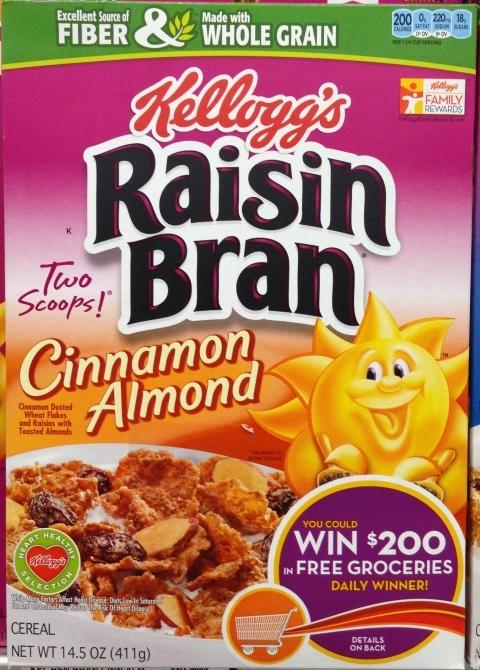 Cinnamon is the hot flavor in food products recently so it makes sense that Raisin Bran Cinnamon Almond would be the next brand extension. Let us just hope they it is a nice subtle, but distinct flavor for the Raisin Bran fans. I wouldn’t mind seeing a few other new flavors in this cereal line. Why don’t you bring this GREATcereal back? EVERYONE loves it.